Per-school payouts from this deal are expected to rise to $6.94 million per year, almost $5 million more than the level they were at. The latest long-term NCAA rights deal comes from the American Athletic Conference, and it’s a deal with ESPN that includes a heavy ESPN+ component. The AAC’s received a lot of attention recently thanks to the Power 5 NCAA conferences’ rights not expiring until 2023 at the earliest, making the American and the Mountain West (both expiring after 2019-20) two of the most intriguing properties on the market. 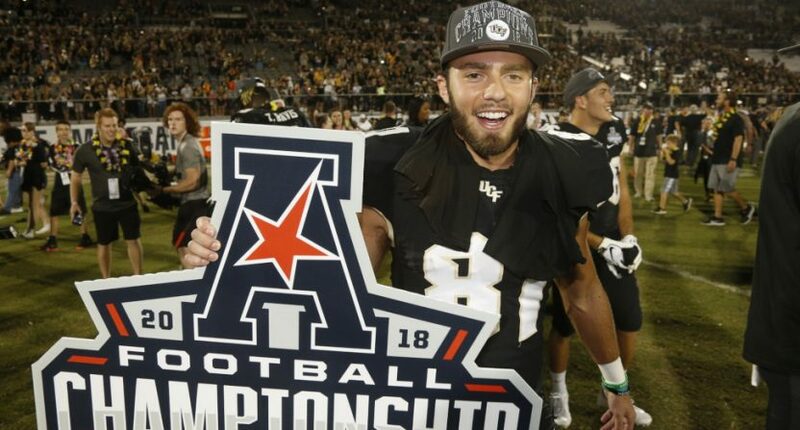 And with the AAC, there was a significant subplot; the conference wanted a grant-of-rights agreement that would lock schools in for the long term (making it so they’d have to pay substantial penalties if they chose to leave), arguing that they could get much more money that way, while top schools like UCF and Memphis wanted to keep their options open. The American Athletic Conference will get $1B for its media rights from ESPN over 12 years, according to sources. The average of $83.3M per year is about four times what the AAC was making in its previous rights agreement with the net, which paid the league just over $20M annually. The new agreement begins in ’20-21 and runs through the ’31-32 academic year. …The comprehensive deal provides ESPN with rights to all of the AAC’s live programming, except for a small package of basketball games on CBS and some Navy football games on CBS Sports Network. The new contract also calls for some Saturday football games to be broadcast on ABC. Football, along with men’s and women’s basketball, will remain on ESPN, ESPN2 and ESPNU, but the majority of basketball games and a significant number of the football games will go to ESPN+. Other live sports including baseball, softball and soccer also will air on ESPN+. For AAC fans, this is less unilaterally positive, as they’ll likely now have to buy an ESPN+ subscription to catch some of the content they’re interested in. Yes, that’s only $5 a month for now, but that price likely won’t stay that low forever. And with split packages like this that also include content on ESPN’s linear TV channels, many fans can’t just buy ESPN+; they’ll also need a cable/satellite/streaming pay-TV subscription in order to catch games on those TV channels. The increase in rights fees here should help AAC schools compete, but this is also going to get more expensive for many of those who follow the conference.